For foodies and for anybody with a penchant for all things yum, Malaysia is a paradise. With a confluence of cultures and its own local flavours, the food in Malaysia will take your palate on a journey like no other. While you can get a taste of the various cuisines at restaurants, the real place to experience these is at Jalan Alor in Kuala Lumpur. Even as you enter this place with stalls dotting the pavement on both sides, you know you are in for a treat. There are fruits to be tried, vegetables to be tasted and a whole lot of local food that has to be eaten to be believed. 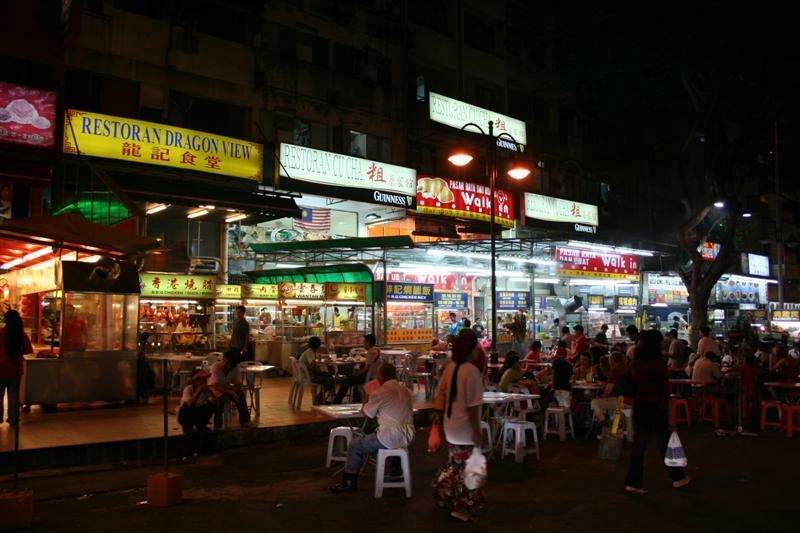 Bustling with activity, Jalan Alor is like a simple walk through history. Being here gives you the feeling of being in the ‘real’ Asia. Brightly lit stalls selling their fare with much enthusiasm crowd both sides of the road. Waiters walk around getting orders and shouting them back to the kitchens. The kitchens are mostly open so you can see your dish being prepared right in front of you. The sounds of woks clanging fills the air and steaming dishes go past you on their way to be delivered to their patrons. The menus are lively and colourful with the pictures of all the dishes in case you don’t understand the language or want to be sure of what you are ordering. Plus, Jalan Alor is surprisingly easy on the pocket. If you are planning to venture into this gastronomical paradise, come armed with a great appetite and you will be spoilt for choice. Jalan Alor has a life of its own and it is one you will want to witness.